I am so darned excited tonight that I can hardly settled down to write about my new Victorio Food Strainer! Thirty-four years ago I met my friend Sue when I moved into the house next door to her. Sue is a walking book of knowledge and I kid you not. She was a home economics major in college and she probably has forgotten more than I’ll ever know! All through the years whenever I needed information, help, a suggestion or was stumped, I called her for the answers. 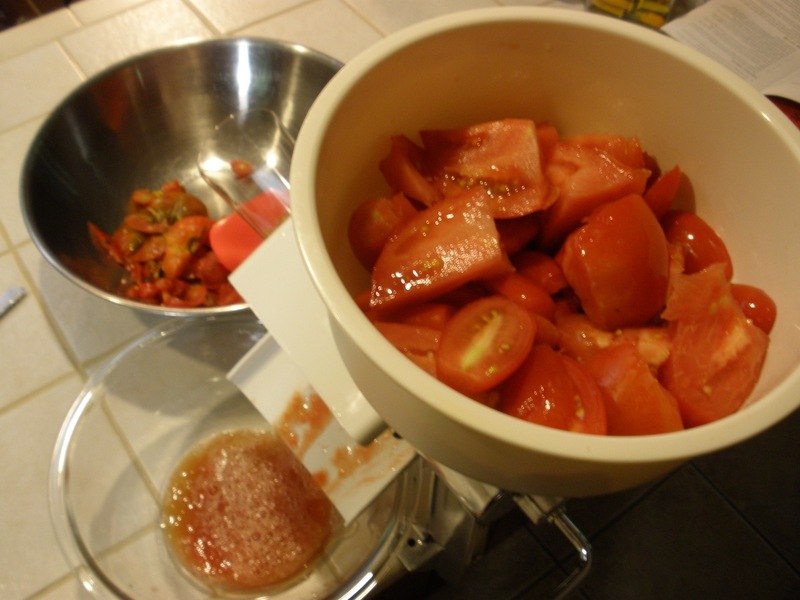 Last year I shared with her my tales of woe, as I peeled, cored, cooked, strained, mashed and pulverized tomatoes to get some fresh tomato juice to make marinara sauce for our favorite Italian dishes. 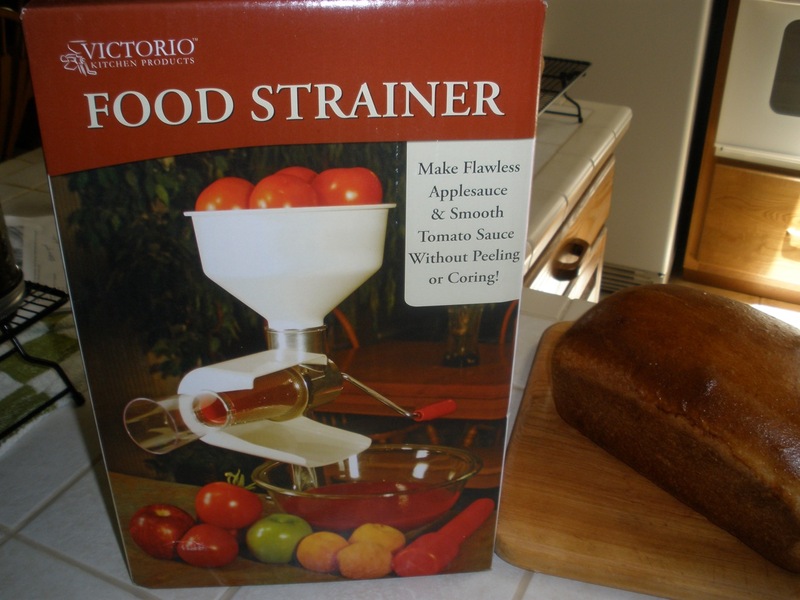 At the time, she told me I just HAD to get a Victorio Food Strainer. She raved about it and said I would just love it! Well, please forgive me Sue, but I just didn’t even have time to think about changing gears because I was way too busy peeling, coring, cooking, straining, mashing and pulverizing everything I could get my hands on! The really cool thing about the Victorio is that I can buy additional screens and a grape spiral to expand the many uses! This food strainer comes with one cone-shaped screen primarily meant for processing tomatoes or apples. 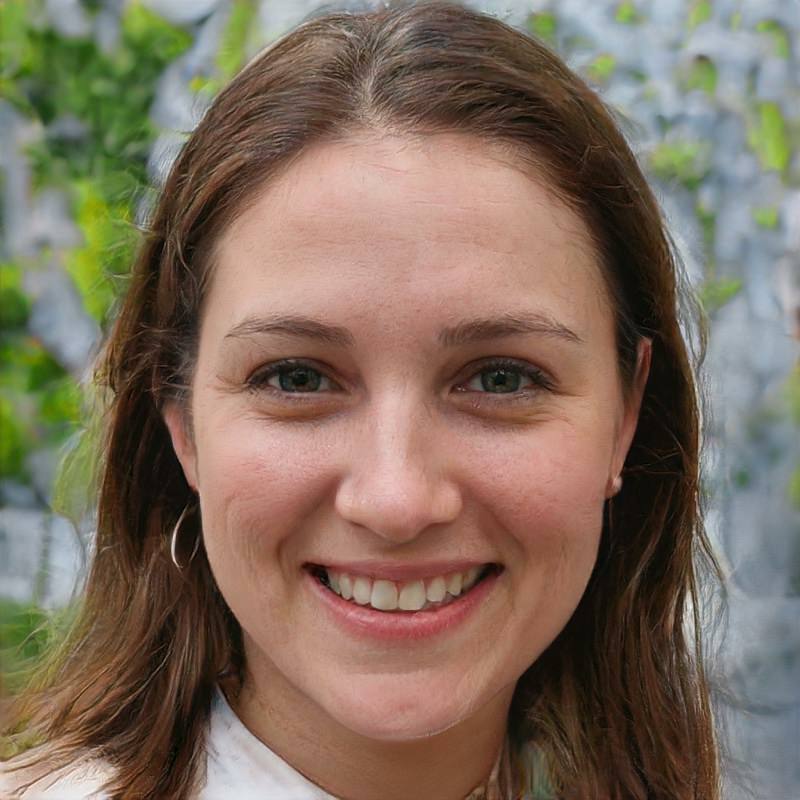 me saver is that it automatically separates the juice and pulp from the seeds, skins and stems. (How does it know?) The box says that it is perfect for purees – which I can attest to – and also pie filling, juices, jams, creamed soups, baby foods and more! Whew, I am going to be so busy playing, I mean, working with this new strainer! All I can say is that if you do any of the above you just might want to add a Victorio to your kitchen! I wish I had bought it last year — or years ago for that matter. Once again, thank you Sue! You are the best friend anyone could ever have! Please come visit – I will make you some homemade tomato soup and some Italian Burgers with homemade Marinara Sauce! 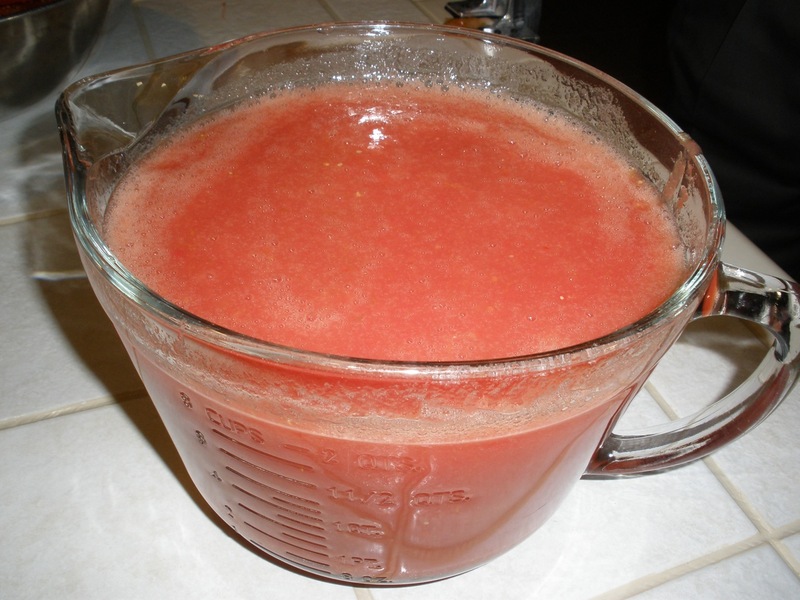 Oh, speaking of marinara sauce – tomorrow I will show you the end result starting with 10 cups of this luscious puree and ending up with … well, you will just have to stop back by tomorrow and see for yourself! 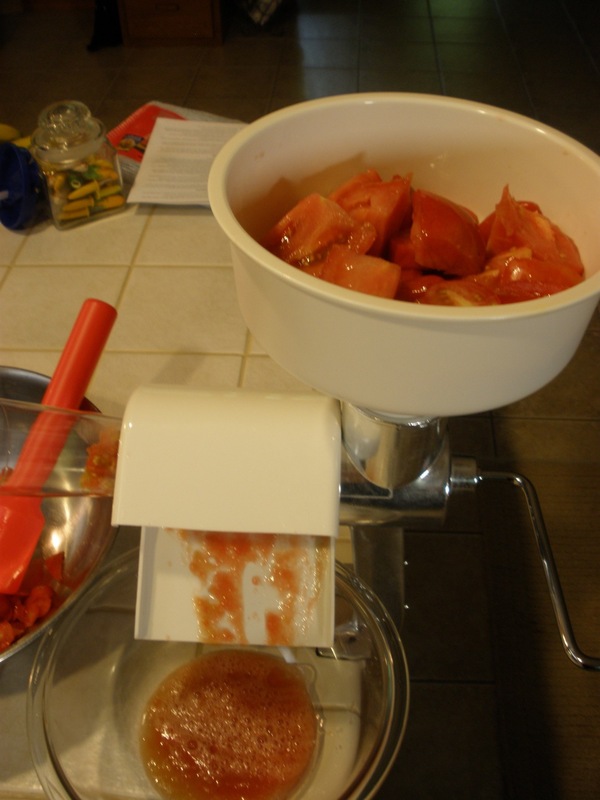 Tomato/Apple Screen comes with the food strainer and has a medium screen for making tomato sauce and applesauce. Berry Screen has a fine screen for removing small seeds in raspberries, strawberries, blueberries, etc. Ideal for making jams, jellies, and pie filling. Pumpkin Screen has a coarse screen for processing pumpkin, squash, and potatoes. Great for pies, breads, and side dishes. Grape Spiral is used to process grapes for jellies and delicious juices. Its shorter length eliminates jamming of seeds and skins. 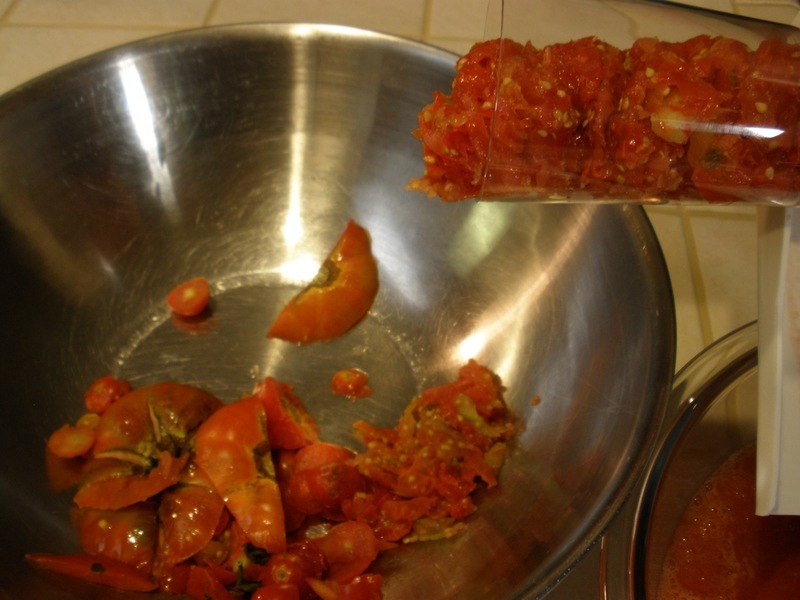 Salsa Screen is a very coarse screen for processing salsa and chunkier recipes. Great time saver!